As each year comes and goes there are things that you are nostalgic about, things that you wish to forget and some that you wish you had the chance to relive again. 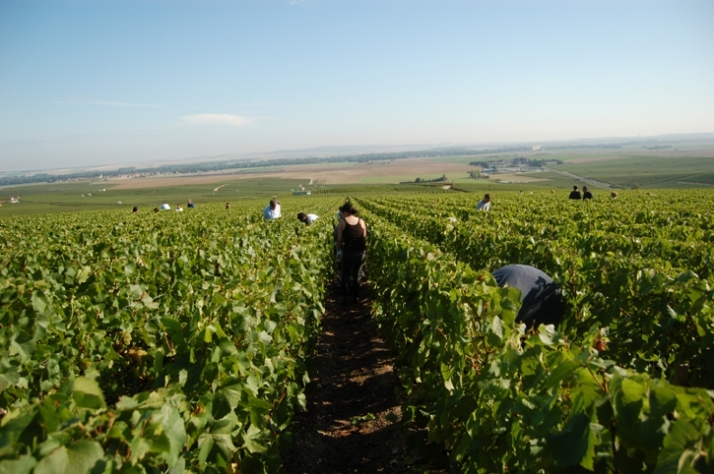 In my case one thing is for sure, this year in my 2009 list of unforgettable moments will be the gathering of the grapes in the endless acres of the Veuve Clicquot vineyards in Reims/FR, which commenced on the 20th September. Having gathered all of the information I am ready to share this magnificent experience with my Yatzer readers. Even though I have expressed my gratitude to the aristocratic ‘queen bubble yellow family’ many times throughout this year for including Yatzer into their magical world, I would like to take this opportunity and express my outmost happiness that Yatzer is considered as one of the family’s favorite site’s. We consider this as a great achievement from our part and we are truly and humbly proud. In our first dream world visit to Reims last year, we were introduced to the history, roots, essence and lifestyle of the VCP world. 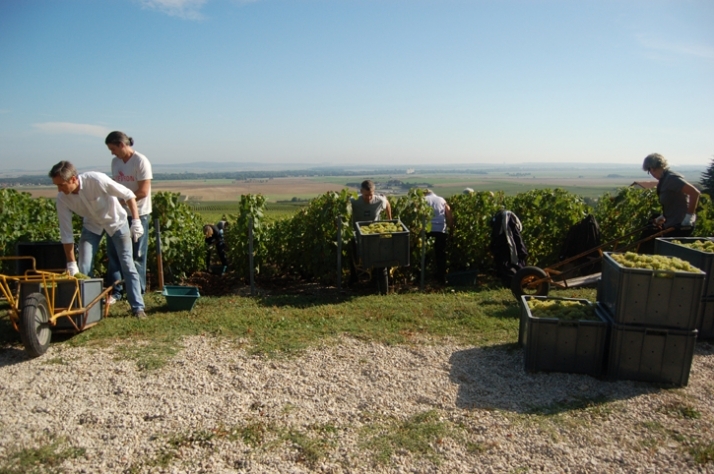 This year we were invited to experience the actual production of this glorious champagne. The procedure that is undergone right up to the filling of the bottle with our favorite nectar. When I say ‘we’ I am referring to no other then the greatest editors out there at this moment and who I am happy to also call my friends which are none other then: Brian leavy from Materialiste // Jean Aw from NOTCOT // Francesca Arcuri from Frizzi-Frizzi // and new comers Evan Orensten & Josh Rubin from Cool Hunting. We had all lived the first VCP experience together and I was delighted to see all of them again for round two. Once upon a time in 1772 Mr.Philippe Clicquot established a wine merchant's business under the name of Clicquot. On December 16 in 1777 Barber Nicole Ponsardin, the future Madame Clicquot, was born. She was married with Philippe's son, Francois Clicquot who died in 1805, leaving his widow (veuve in French) in control of a company variously involved in banking, wool trading, and Champagne production. 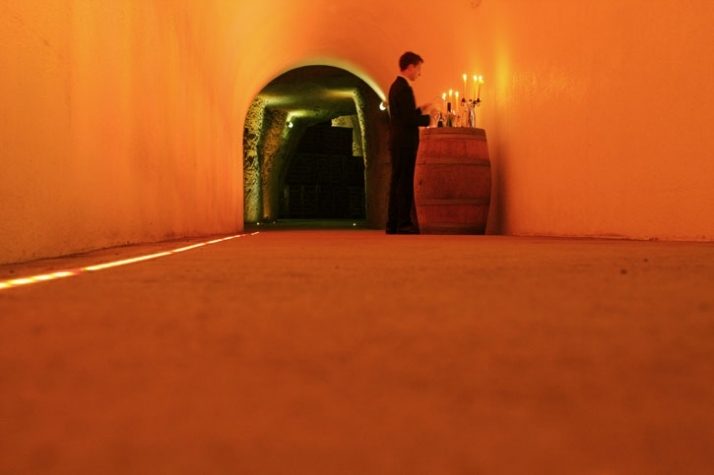 Under Madame Clicquot's guidance the firm focused entirely on the latter, to great success. 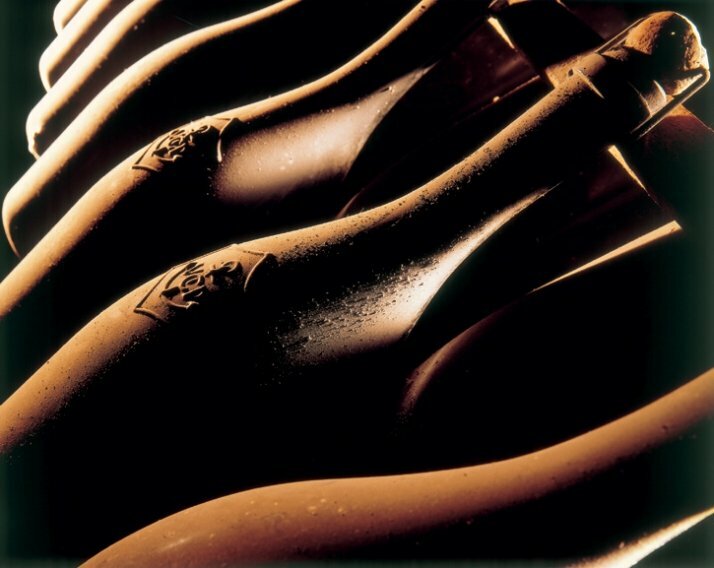 In 1810 the house took the name of Veuve Clicquot Ponsardin and produced its first vintage champagne. One year later, in 1811, a comet crossed the Champagne sky and was believed to be responsible for the outstanding quality of the wine harvested that year. With this "comet wine" Madame Clicquot re-launched her champagne in Russia some years later. (Hence the hexagonal shape n the logo symbolizing a comet). During the Napoleonic Wars, Madame Clicquot made strides in establishing her wine in royal courts throughout Europe, notably that of Imperial Russia. However, she exported her champagne all over the world from Europe to North America, China and Australia. No land seems to have been overlooked by the House, from the tiniest Pacific and Carebbean paradises via the confines of Europe to the areas of greatest importance nowadays. From Greece to Sweden, Belgium and the United Kingdom, Veuve Clicquot received official accreditation or "Royal Warrants", to supply the Royal Courts. By the time she died at the age of 89, in 1866 Veuve Clicquot had become both a substantial Champagne house and a respected brand. 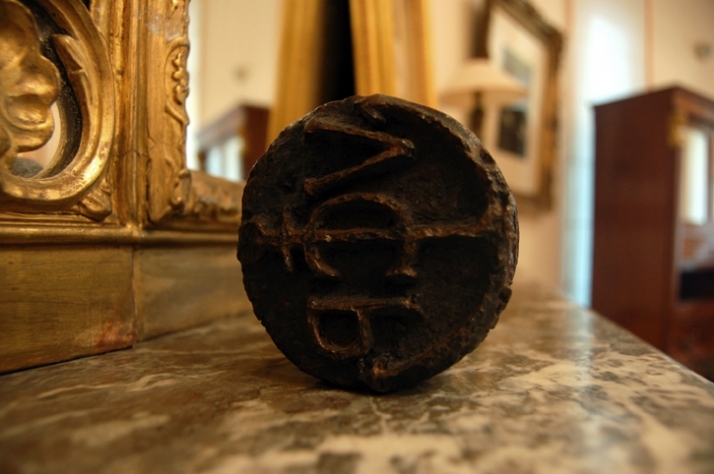 For over two centuries Veuve Clicquot Ponsardin has been true to Madame's motto. This is a fine example of the devotion, aspiration and love of one great woman striving to achieve greatness, a dream that for her is converted into a reality. The great Madame created an empire by keeping it in the family. A company with that is highly respected due to this and a luxurious lifestyle that has surrounded this brand ever since it was born. After the hi-story meeting and while walking around the cellars Anne C.S. Marcel informed us of the mature procedure which takes place with the conversion d, meaning from still to sparkling wine. This I found outmost interesting and would like to share it with you. In the early 19th century Clicquot invented with the assistance of her cellar master Antoine de Müller the riddling rack that made the crucial process of dégorgement both more efficient and economic. Clicquot's advance involved systematically collecting the spent yeast and sediments left from the wine's first (or primary) fermentation in the bottle's neck by using a specialized rack. 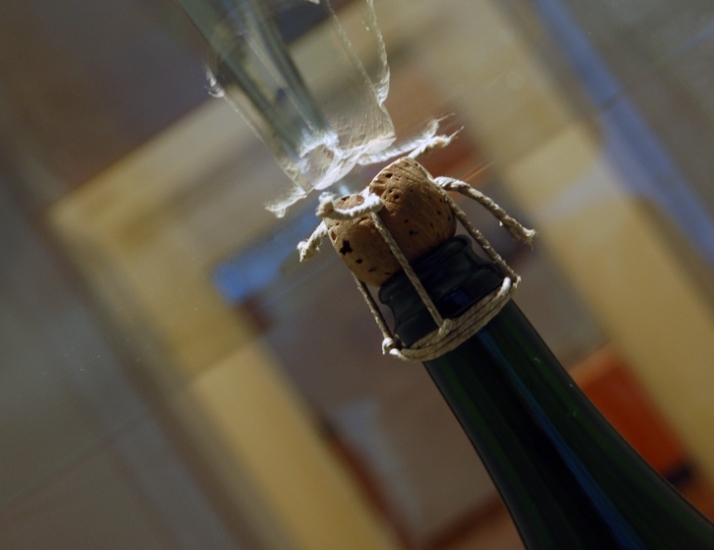 Every day a cellar assistant would gently shake and twist (remuage) the bottle once or several times and when this was completed the cork was carefully removed, the sediments ejected, and a small replacement dose of sweetened wine was added to the encourage, the secondary fermentation that gives Champagne its distinctive bubbles. 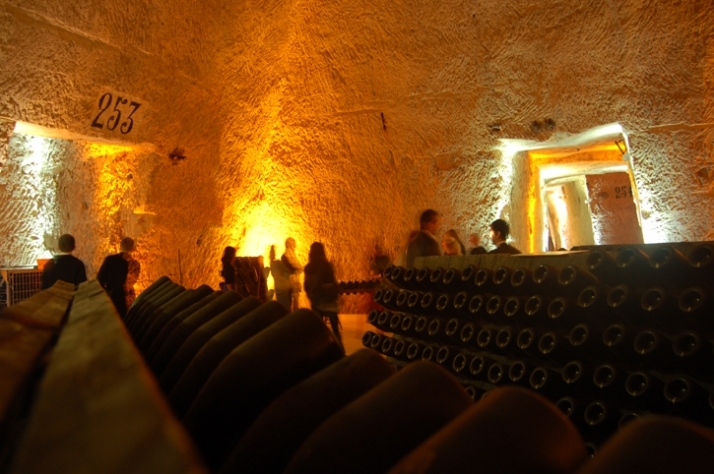 After aging the bottles undergo a process known as riddling (remuage in French). In this stage the bottles are placed on special racks called pupitres. This places the bottles at a 45° and every few days the bottles are given a slight shake and turn and dropped back into the pupitres. In about 6 to 8 weeks the position of the bottle is pointed straight down with sediment in the neck of the bottle. 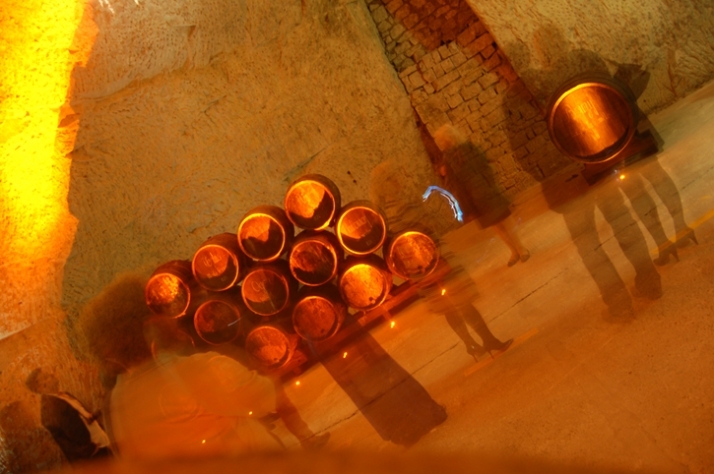 This manual way of riddling sparkling wine is still used for Prestige Cuvées in Champagne, but has otherwise been largely abandoned because of the high labour costs. Mechanized riddling equipment called gyropalettes are used instead. 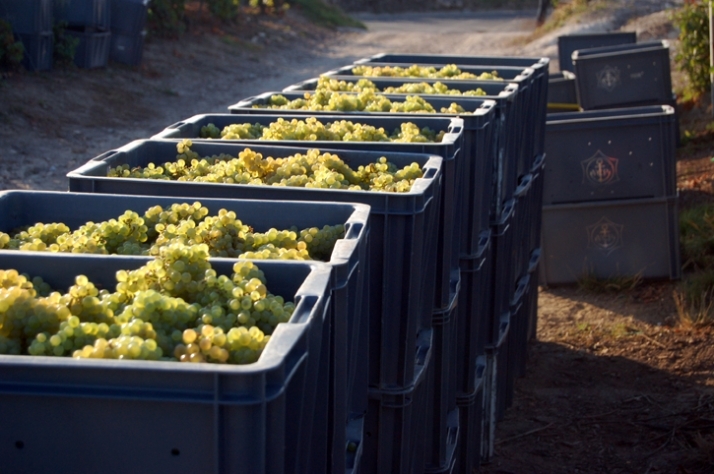 The removal process is called disgorging (dégorgement in French), and was a skilled manual process, where the cork and the lees were removed without losing large quantities of the liquid, and a varying amount of sugar is added. Until this process was invented (by Madame Clicquot in 1816) Champagne was cloudy, a style still seen occasionally today under the label méthode ancestrale. Modern disgorgement is automated by freezing a small amount of the liquid in the neck and removing this plug of ice containing the lees. THIS revolutionary process ensured crystal clear wine and is still used by all Champagne Houses today. Once our historic crash course in champagne making was completed we all dined at the beautiful Le millenaire restaurant. A perfect ending to a beautiful day that took us to another Era all together. Our morning wake up call was brutal and dark. 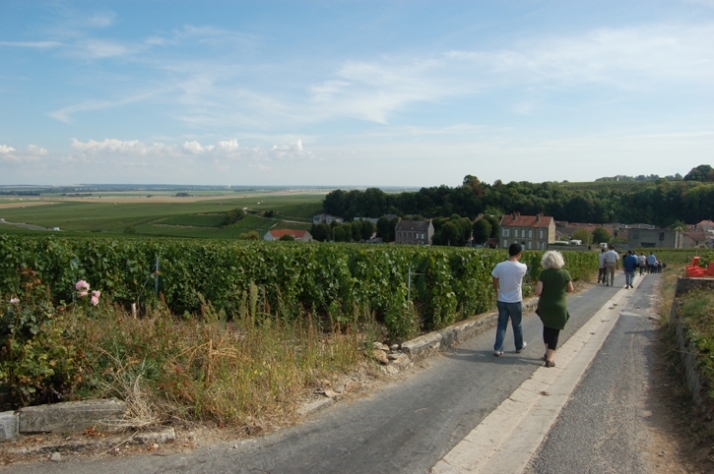 We met at 6.30 am most of us still sleeping while standing as the dark night was surrounding us and were going to the direction of Verzy Manor which is owned by the Clicquot family in a picturesque village rolling along the gentle slopes of the Montagne de Reims. 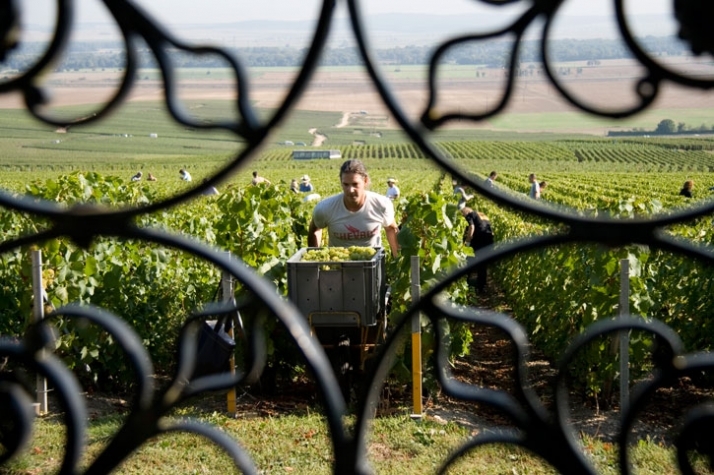 This is home to the great lineage of Champagne region’s “Grands Crus.” From the Montagne de Reims summit, stretches a beautiful national forest with flora and fauna abundant. Nestled among the flora grows the distinctive Dwarf Beech tree - with its contorted, pendulous branches it stands a true curiosity of botanical nature. It is here, in this magical part of the world, that the Veuve Clicquot House has worked its own magic on the land. From the very beginning, the House has mastered the art of winemaking, and the exceptional Verzy vines create exceptional Pinot Noir wines; this region is the very stronghold of the Pinot Noir grape. Situated on the ancient grounds of the Saint Basle Abbey, the Manor and garden tout a distinctive location along the sloping heights of the village vineyards. Built next to the village church in the late 18th century, the Verzy Manor came under the ownership of VCP House at the end of the 19th century. 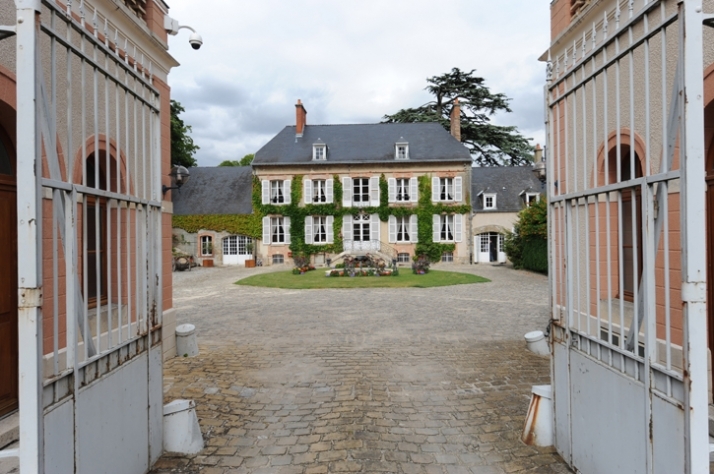 The Manor was acquired into the family when the daughter of Alfred Werlé, Madame Clicquot’s successor, married Bertrand de Mun, the successive director of the House. For the entire 20th century, the Manor remained a principal residence for those who oversaw wine-growing. In 1997, the Manor underwent an important restoration that brought it a renewed charm as well as a new role for its future. Today the Manor and its park have become a domain for welcoming our honored guests to the House. 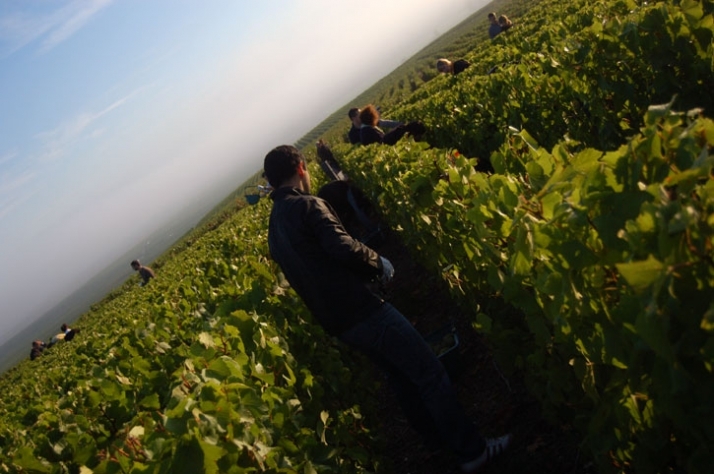 Veuve Clicquot's vineyards cover a total surface area of 515 hectares, of which 485 hectares are in production (i.e. vines that are at least three years old). 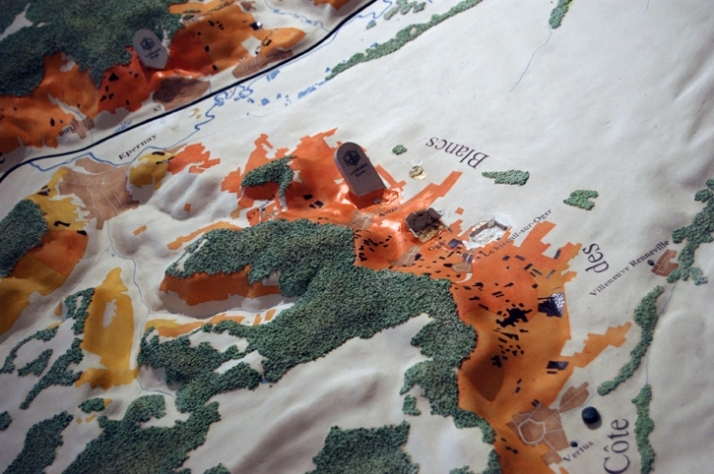 These 485 hectares are used for Veuve Clicquot’s own supply of grapes. 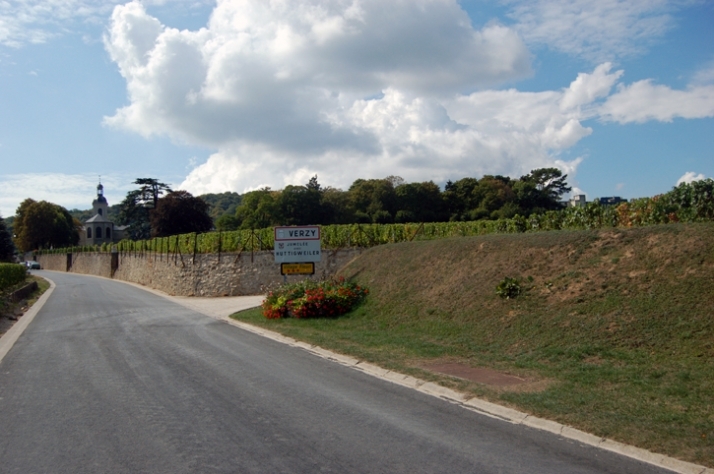 The grape varieties used are 46% Chardonnay, 43% Pinot Noir and 11% Pinot Meunier. 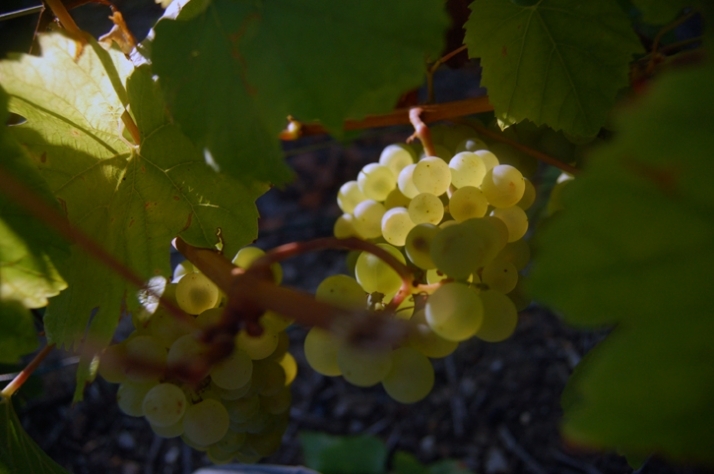 The harvest takes place between mid September and early October. The date is fixed each year by prefectoral decree, on the advice of the professionals, depending on the maturity of the grapes and it takes 45 people to pick the grapes from one hectare of vines in a single day. The whole set up was something inexplicable. The beauty of the acres woke us up the intoxicating smell invites you to be part of this whole ritual, which almost feels medieval. Of course that was exactly why we were there, to help with the harvest. Family friends hard working employees and we were all scattered in the endless hectares and the sun was slowly rising finding us already hard at work. 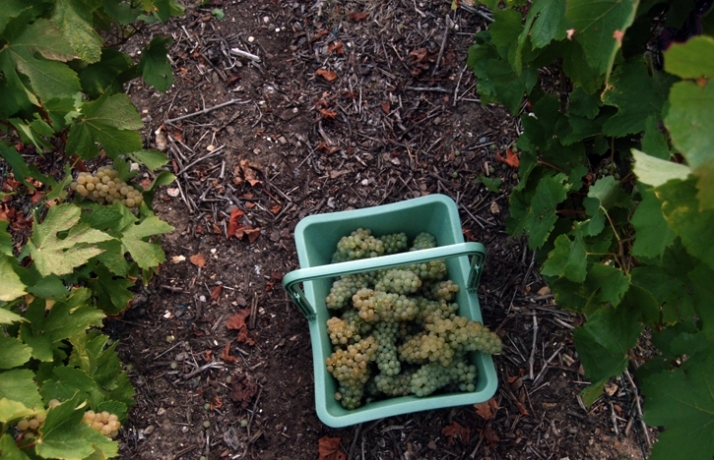 We all manage to pick 21 tons of grapes over 0.75 hectares in 4 hours. The wages we would have earned would be 3100 Euros. This sum will be generously doubled by Mr.s Cecile Bonneford (President of Veuve Clicquot Ponsardin Champagne) and donated to UNESCO.) It has to be mentioned though that even though we are describing it heavenly now, it is really hard work. I felt exhausted and drained after only an hour, and I would look around me and see men double my age running around with twice my speed and at the same time having time to laugh smile and take it all in. 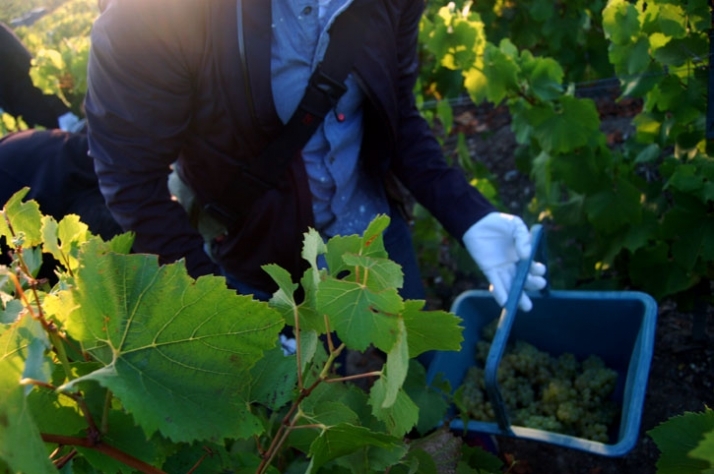 I do believe that the love and care that goes in to this process from everyone there has a factor into the final outcome and the quality of the Veuve Clicquot champagne!